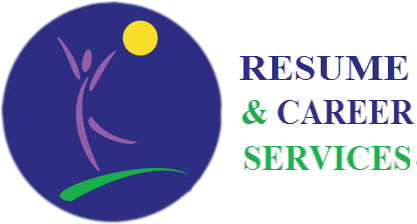 Resume & Career Services, Baltimore, MD – Clarify and package your gifts, talents, and passions! Often a seasoned impartial sounding board can help you sort out your options and arm you with the personal career marketing tools needed for success. Even very talented people sometimes need help presenting their value, attributes, and accomplishments. Change happens! If you are ready to create a plan for your career and life, we should talk. Your resume must stand out.We develop marketing documents to serve as your “ambassador” to make you memorable. Our goal is to collect objective information and shape the appropriate message so people will pay attention, understand, and remember you. Before embarking on a journey we need a good roadmap to get to the right destination. Here is where career coaching comes in. Crafting your profile summary and headline statement is almost as critical as the resume itself. Stuck on how to position your value for a promotion, or new opportunity, or career move? Almost anyone can write a resume. Few can capture the essence of you by creating personal marketing documents that will effectively serve as your “personal ambassador” in your absence. Besides, there have been major changes in career management in the past few years, mostly due to social media. Together we take the time to uncover your true motivations and fully explore available options. You can probably talk about your training and professional experiences, but can you easily present your value? Even very talented professionals sometimes have difficulty describing their best attributes and accomplishments. Don’t try to do this alone! Manage your career and clarify and package your gifts, talents, and passions with my Strategies for Success newsletter.